Since 1954, Sports Illustrated has declared the most groundbreaking, important person in sports each year, starting with British runner Roger Bannister, the first known person to ever run a mile in under four minutes. This year the magazine has named its ninth woman ever to the list: tennis champ Serena Williams. While it may not be a shock that this dominant female athlete was named Sports Illustrated’s 2015 Sportsperson of the Year — she won the Australian Open, Wimbledon, and the French Open, after all — it’s actually kind of rare, given the gender breakdown over the years. While American Pharoah devotees shared their dismay over the choice Monday — the Triple Crown–winning horse won SI’s popular vote to get the title — writer S.L. Price recounted Williams’s tumultuous (and mostly victorious) year on the court. Her major title bids came with plenty of health battles: an all-consuming flu, bruised bones, and busted knees, to name a few. She returned to Indian Wells Tennis Garden in March after a 14-year boycott following a matchup against Steffi Graf marred by jeering and racist comments. This year also included Williams’s disappointing loss at the US Open in September, when she lost to 43rd-ranked Roberta Vinci, missing her shot at the calendar Grand Slam and the chance to beat Graf’s record 21 career major title wins. Off the court, though, Williams is an outspoken, stylish, confident social media darling and sports mogul with devoted fans around the world. At 34, she’s also been able to compete longer than many of her peers have been able to. And that’s why her newest title should come as no surprise. Choosing outstanding women athletes isn’t a groundbreaking feat for another sports authority. Since 1931, the Associated Press has named one man and one woman each as athletes of the year (Williams was named to that list in 2002, 2009, and 2013). While the Associated Press started publishing a gender-equal list in the 1930s, things haven’t been quite as equal for Sports Illustrated. 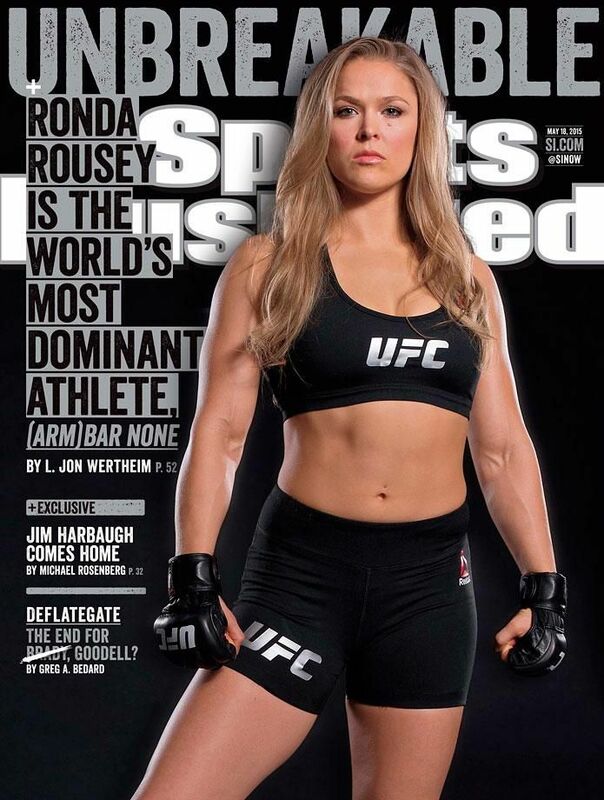 After 61 years of publishing, SI’s weekly issues rarely feature women athletes on its covers. A University of Louisville study of the magazine from 2000 to 2011 found that women appeared on 4.9 percent of all Sports Illustrated covers; about a third of those featured women of color. Interestingly, more female athletes appeared on the covers from 1954 to 1965 than they did from 2000 to 2011. After that period, the distribution spread. By 2011, the average rate at which women were featured on the cover was about one woman per year, not counting the magazine’s highly anticipated annual swimsuit issue, despite growing participation of women in sports. The researchers attributed this to the rising dependence on corporate sports leagues, mainly the big four: the NBA, NFL, NHL, and MLB, Pacific Standard reports. Considering 2015 was an incredible year for women in sports, at least in the United States, Sports Illustrated naming a woman to its annual title should be no surprise. With Williams’s big year in tennis, MMA fighter Ronda Rousey’s tough-talking near dominance, the US women’s national soccer team’s World Cup win, and the debut of professional women’s hockey, among many other landmark moments, you’d think we’ve reached a new level of respect for women athletes. In some ways, we have. This year’s survey of SI covers shows an uptick in female presence: the University of Connecticut’s women’s basketball team’s uncanny national championship win, Rousey being called the “world’s most dominant athlete,” multiple covers on US soccer, and one on Serena Williams’s grand slam effort in August. 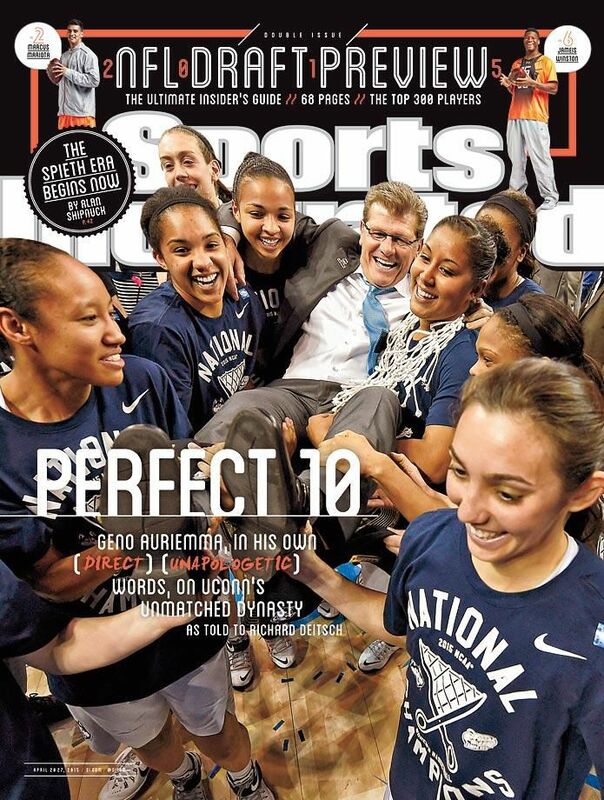 Last year’s SI covers featured one special Olympic preview with four covers — three of which featured women athletes — an issue with gold medal skier Mikaela Shiffrin, University of Connecticut women’s basketball star Breanna Stewart as one of six special March Madness covers, and Little League World Series phenom Mo’Ne Davis. In 2013, there were no female athletes on the covers, and 2012 featured the US women’s Olympic gymnastics team, an all-text cover about Title IX, and Olympic gold medalist Kayla Harrison, a judoka. Prior to that, as mentioned above, the rate was about one female athlete per year. Naturally, sports coverage isn’t all about Sports Illustrated. Most televised sports coverage generally goes to men’s pro and college football, basketball, and baseball, according to a 2015 study published in Communication & Sport. The study, which evaluated 25 years of sports coverage among ESPN’s SportsCenter and Los Angeles’s broadcast network affiliates, showed 3 percent of all sports coverage was dedicated to women’s sports. To be male in sports is to be the default — for example, the term March Madness nearly always means the men’s college basketball tournament, even though the women’s tournament goes by the same name. When it comes to the amount of coverage throughout this tournament, ESPN’sSportsCenter devoted 83 on-air stories to the men’s tournament in March 2014, versus eight about the women’s tournament that year. Researchers often found the coverage was simply blah when focus turned to women athletes. With that, it’s probably no surprise that only 10.2 percent of overall sports coverage was produced by women, according to the Women’s Media Center’s annual report on women in the US media — and that’s a 7 percent drop from 2014’s figure. Sportsman and sportswoman? Or sportsperson? One significant factor this year is that Sports Illustrated has called Williams the Sportsperson of the Year, taking on a more gender-neutral term than sportswoman. Does this mean the next man named to the list will also be called a sportsperson, rather than a sportsman? Until sports loses all of its gendered divisions — and who knows when that’ll be? — I guess we’ll know whenever the publication names the next man (or horse, perhaps?) to the list.